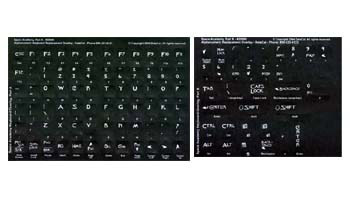 Space Academy Classy Keyboard labels are a great way to add personality to your keyboard. These opaque labels are made using Lexan polycarboate and are printed sub-surface for durability and comfort. Excellent for replacing worn lettering or just adding an artistic flair to your keyboard. All classy keyboard labels now at close-out pricing.